Controlling Mastitis in Cattle with less antibiotics: Is it possible? Can we prevent, control and treat mastitis in cattle with a large reduction of antibiotics? The answer is YES, as the Netherlands experience proves so! Check out this interview with Dr. Tine van Werven (Associate Professor at Utrecht University and also a field practitioner) who explains us the progress she followed to adapt her farms to the new antibiotic-reduction legislation that applies to dairy production in The Netherlands and the tools she used to prevent mastitis in cattle. 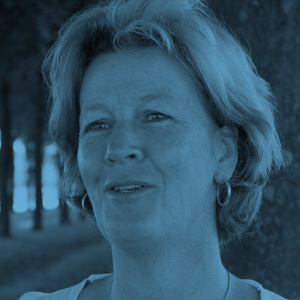 Tine van Werven is Associate Professor of the University of Utrecht, at the Farm Animal Health Department, and also a field practitioner. She has performed several studies checking the real effects of antibiotic reduction in dairy farms. How long was the “adapting” process to reduce the Antibiotic usage for the vets and farmers in NL? The ‘adapting” process in the Netherlands was only 2 or 3 years, since the government forced us to reduce the use of antimicrobials. The adaptation process was more or less a mandatory process. They stated that we had to reduce 20% in 2011 and within one year they decided that the reduction should be 50% in 2013. These reductions were compared to the usage of 2009. Being forced by the dairy industry and the government helped us to make big steps in a relative short period of time. Do you know (more or less) what % of the farms really struggle to reduce the Antibiotic usage? It is hard to say which percentage really struggled with it. The benchmark and threshold as provided by the Netherlands Medicine Authority was based on the 25% herds with the highest antimicrobial usage. As with all changes, there are farmers that like to follow every new trend and ones that will always resist. Not only farmers but veterinarians as well were anxious to reduce the usage of antimicrobials. We have visited many of the farms from which the usage was above the threshold and concluded that an important reason for high usage was the “misuse” of antimicrobials, in other words too high dosage, unnecessary extended therapy and usage of antimicrobials for diseases that are not caused by bacteria. Providing the farmers with written farm-specific treatment protocols helped a lot to use antimicrobials in a more prudent way. From the point of view of milk quality and udder health and prevention of mastitis in cattle, what are the first actions vets asked to farmers to do? Our first calculations showed that almost 75% of the total antimicrobial usage was used in the mammary gland. We asked our farmers to focus more on management. If improved management, like better hygiene and more attention to biosecurity could prevent the number of new infections, both during lactation and during the dry period, it would automatically decrease the intra-mammary antimicrobial usage. Do you think this antibiotic reduction will spread around Europe soon? Yes, the common European opinion is that antimicrobials should be used in a more prudent way. Not only in veterinary medicine, but in human medicine as well. Many countries started already with different kind of programs to decrease the antimicrobial usage. The awareness of the global threat of antimicrobial resistance is growing in farmers and veterinarians, which helps to change the mindset on the use of antimicrobials. Results from surrounding countries, like for example the Netherlands, show that decreasing antimicrobial usage has not an effect on herd performance or animal welfare. These positive experiences can and will be used by other countries to convince farmers and vets to make the step to less antimicrobials. Can you give any advice for the vets thinking on start reducing antibiotic usage before it’s mandatory? In the light of prevention of antimicrobial resistance, the first step should be to avoid the usage of Critical Important Antimicrobials (CIA). Like 3rd and 4th generation cephalosporin and the fluoroquinolones. There are no diseases on dairy farms that cannot be cured without the use of these CIA’s. Secondly, I would advise the vets that if you are convinced that healthy farming can be performed with less antimicrobials your farmers will follow. Provide them with preventive tools like optimization of management, improved housing circumstances, vaccinations against mastitis in cattle and show them that we can use less antimicrobials than we have always thought in the past decades!